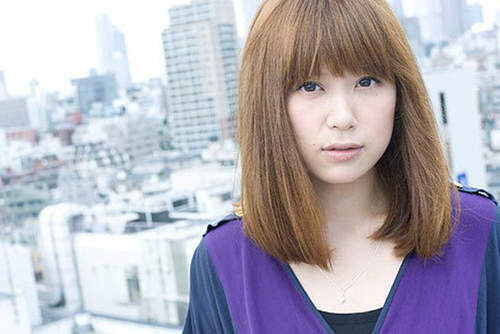 Ayaka Iida (飯田 絢香, Iida Ayaka), born December 18, 1987 in Moriguchi, Osaka Prefecture, Japan, is a Japanese female singer signed to Warner Music Japan. Ayaka was first introduced to public singing in her early years and throughout high school where she would sing song covers at school concerts. Her first solo concert was held in her second year of high school; it was a small high school concert in where she sang only covers of famous musicians. After speaking with an audience member, Ayaka was referred to the voice music center in Fukuoka. Ayaka began practicing original song composition as well as learning about the various recording methods used in mass media recording. Ayaka performed at various music venues and as the opening act to various other groups during much of 2005. Though she had not officially debuted yet, in December 2005, Ayaka was contracted to perform the ending theme “Mikazuki” for a television Japanese Drama known as @Human. Even though a music video had been produced, the actual single would not be released for almost a year. Ayaka performed three songs, Mikazuki, I Believe, and a Japanese rendition of the popular German Christmas carol, Silent Night. On November 10, 2005, Lyor Cohen, the North American Chairman and CEO of Warner Music Group described her in public: “After Mariah Carey, Hikaru Utada, now it’s the third encounter with an amazing talent over my life”. After Ayaka’s performance, he stood up clapping and praised “World class to be!”.